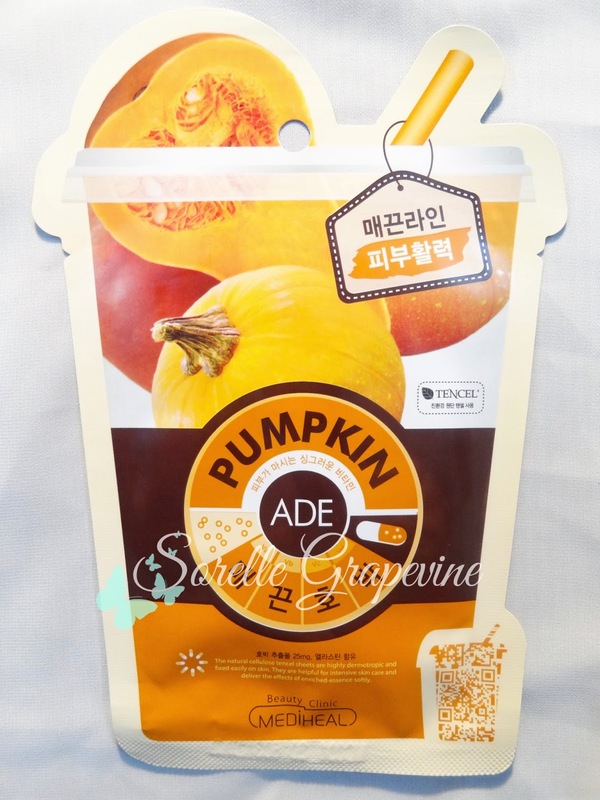 I got a pack of this Pumpkin Ade Mask Sheet of L&P Cosmetics in my November edition of Glamabox. This type of product has gained a huge popularity in recent times especially coz of its ease of use. Especially these Asian brands have been a huge hit and the sheer variety that they bring in is staggering. I so love their attention to detail and the great packing designs they bring in. My skin has become quite dry in recent times due to the change in weather and I need all the TLC I can get. So let’s see how this one fared. 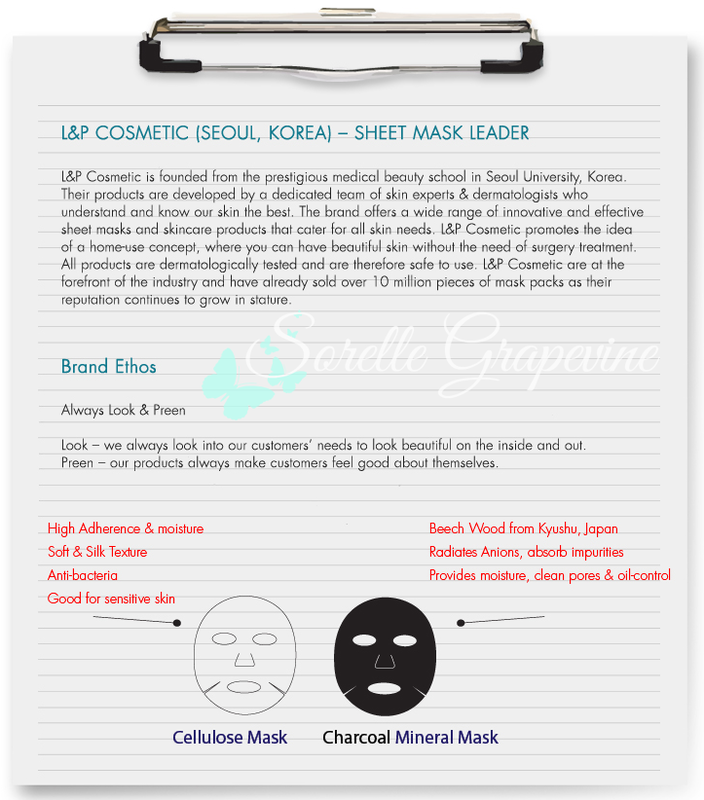 L&P Cosmetics was started in 2008 and is based in Korea. They have a huge range of product line targeting all types of concerns ranging from skincare to haircare. The have 7 different product lines at present. They believe in providing treatments that one can use from the comfort of their home and can address any and all of their skin concerns. By combining cosmetics and pharmaceuticals they aim to deliver effective products that can help you achieve the beautiful skin that you always wanted. “The nutrition of fresh autumn squash and the elasticity of elastin are delivered to your skin purely. 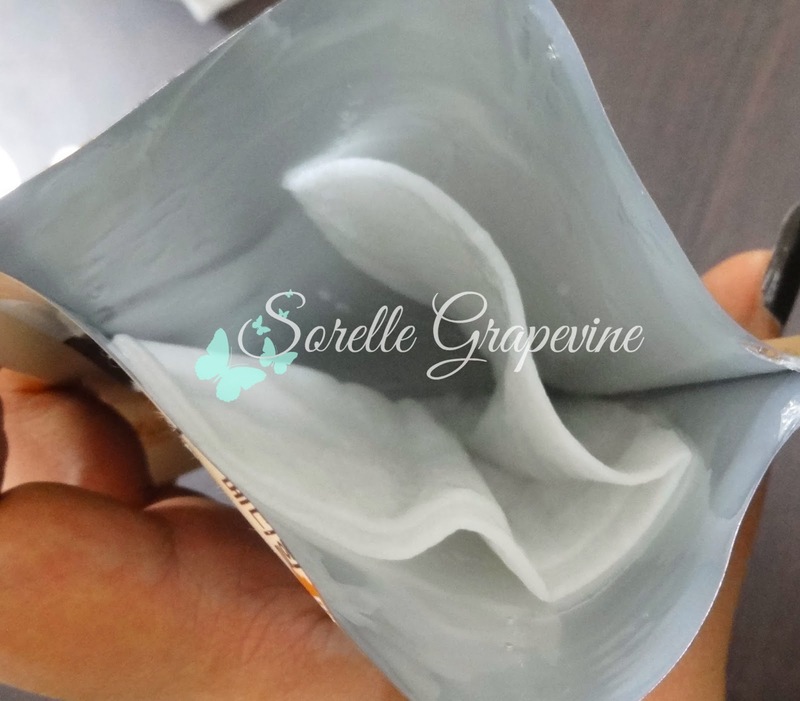 This is a lifting-up mask which makes your skin smooth and elastic. The sheet itself is supposed to be different and is made with cellulose. It did feel a little different to touch. There was a good amount of serum in the pack by which I could cover my neck and both my arms from my fingertips all the way till my elbows. What I liked was that the liquid was not sticky on the skin and absorbed quite quickly. The mask was soaked in the stuff and I left it on my skin till didn’t dry out which was like a good hour. The product was completely odor free. My skin has become quite dry with the turn in weather and I can see dry flaky patches. Since I’m testing out some products that I was storing away for winter months I’m not doing my intensive regime to look after it so that I can figure out the effectiveness of the products. I did expect this to give me a good amount of moisturization and for me a mask’s worth is actually shown on the day after you use it. That is how I judge it by seeing how my skin looks like 12-24 hours later. 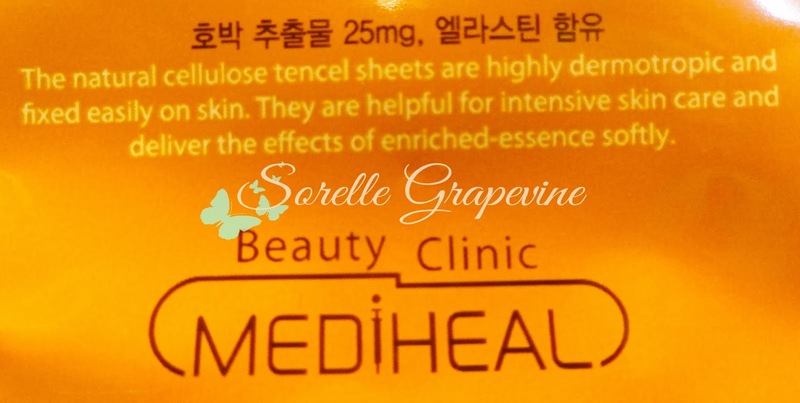 Well as soon as I felt the sheet had sort of dried I took it off and patted the remaining serum into my skin. It felt soft and plump to touch and looked well moisturized. You know how a well pampered skin looks after a good facial….that is how I felt. But after a few hours my skin felt dry and stretchy even though it didn’t look it. A good dollop of moisturizer fixed the uncomfort I was feeling. 24 hours later I had that subtle glow that a well moisturized skin gets but the funny thing is that my skin was actually feeling dry. One use is not adequate to judge the firmness and elasticity claim of it but I did like what I saw and would be interested in getting a set of these sheets as well as trying some other stuff from this brand. Price for 1 sheet is HKD 15 (Rs. 118/-).